Lunarbaboon makes a point that increases with frequency. Grandchildren are another matter altogether, however. 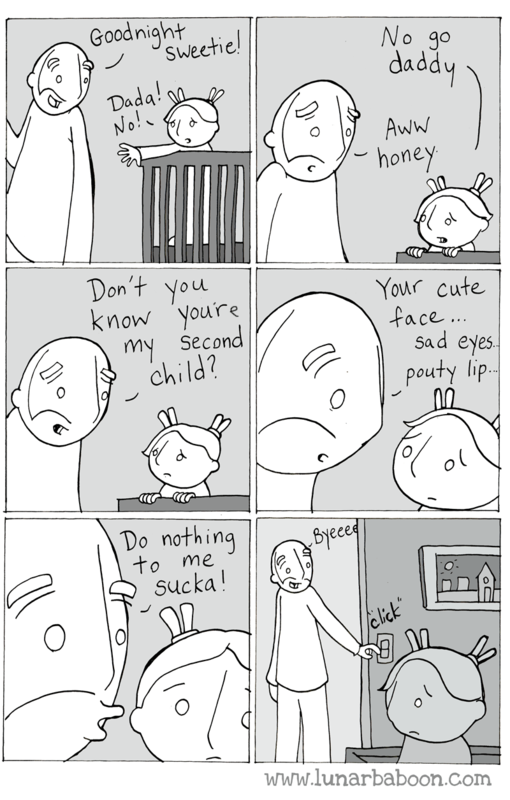 Categories: Children, Family, Grand-children | Tags: Children, Family, Grand Children, Lunarbaboon | Permalink. My son-in-law is a kiwi raising kids in Australia. I’m pretty sure he’s taught our grandkids more than a few of these. Categories: Family, Grand-children, Parenting Special Moments | Tags: Family, Grand Children | Permalink. A little video from Wednesday night for those who aren’t closer. Lights in the room were dimmed. Categories: Family, Grand-children | Tags: Family, Grand Children | Permalink. Grandson and I sang along to this tonight. He always wants to discuss the implausibility of the alternate renditions in the second half. And then we enjoyed Bears three or four times. Categories: Family, Grand-children, Music | Tags: Grand Children, Music, Slugs And Bugs | Permalink.